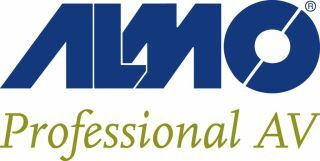 Almo Professional A/V announced its new Almo Hospitality Division. The new division provides a customized combination of expertise, products, services and support for the hotel and lodging industry. The Almo Hospitality Division enables integrators and resellers serving the hospitality market to equip every major area of a hotel, ranging from guest rooms and common areas with comprehensive AV to restaurants, bars, ballrooms and meeting rooms. According to STR, the U.S. hotel industry is projected to experience continued demand growth through 2017, which has outpaced supply growth each year dating back to 2010. The Almo Hospitality Division is hosting a conference for hospitality resellers and integrators in conjunction with the Almo E4 AV Tour. It will take place in Chicago on March 21 and in San Jose on April 18. The conference features a keynote session on the future of smart buildings and hotels, plus a full day of hospitality-dedicated sessions led by Samsung, Steven’s Digital, Comcast Business Solutions, TeleAdapt, Kube Systems and more.